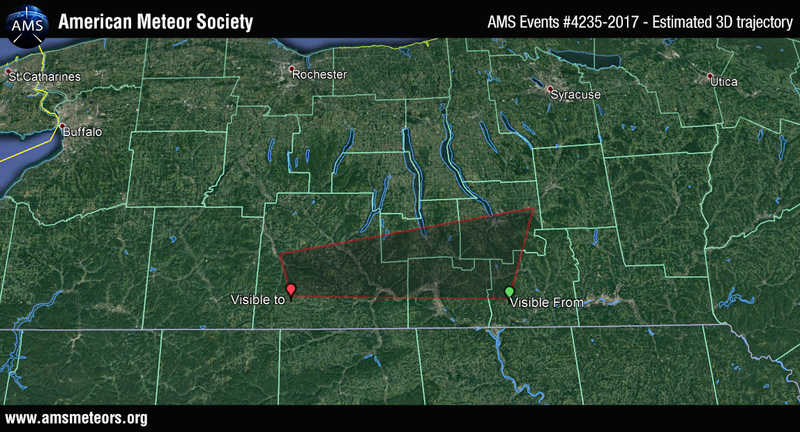 The event has been caught on a dash cam and share to the AMS through the online fireball report program. Dash cam time was off by one hour. 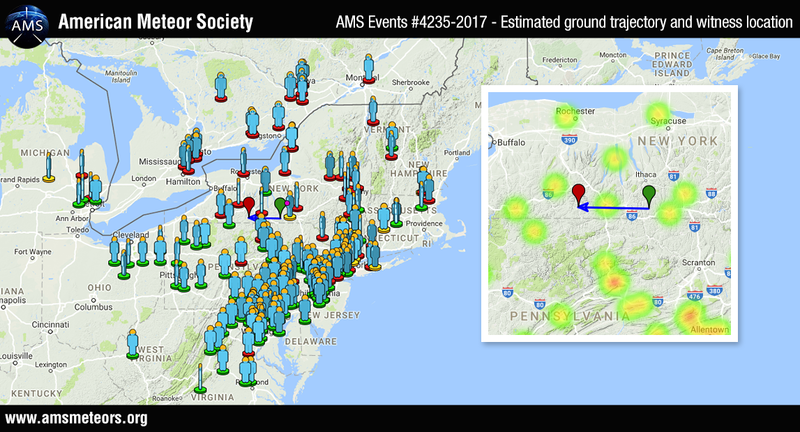 The preliminary 3D trajectory computed based on all the reports submitted to the AMS shows that the Fireball was traveling from East to West and ended its flight somewhere East of Greenwood, NY. I saw a meteor Friday, july 13 2018 in the evening sky over central New York but apparently I am the only one that witnessed it. I saw that one too! I found this site while trying to figure out if anyone else had seen it. Had no idea what it was.